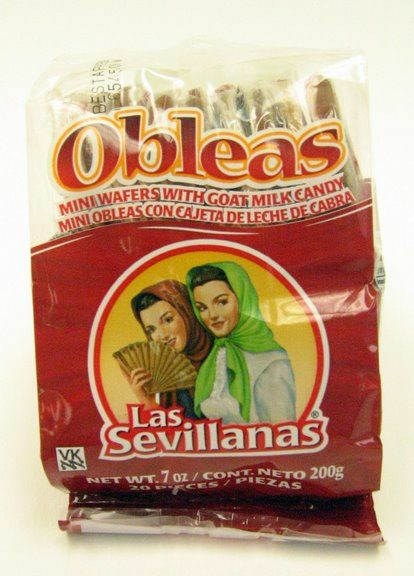 These are little wafer discs that sandwich cajeta with is candy made from goat's milk. These are great on the go and you wont need a spoon to eat them. Reminds me of stroopwafels, but of course comes from homeland. ProsGreat to have in a lunch or as a snack. 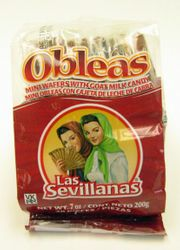 Has Cajeta in it, absolutely divine candy. They are my favorite candy of all time. I bought 2 packages of 20 and finished them in a week.